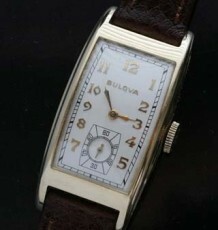 This is a larger than usual Bulova Accutron. 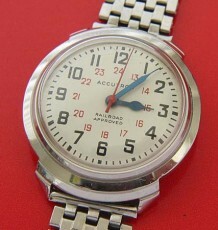 The watch uses a 214 tuning fork movement. The Spaceview model is a true collectors item. 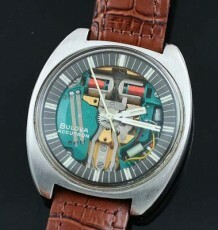 An unusual Bulova Spaceview Accutron watch. 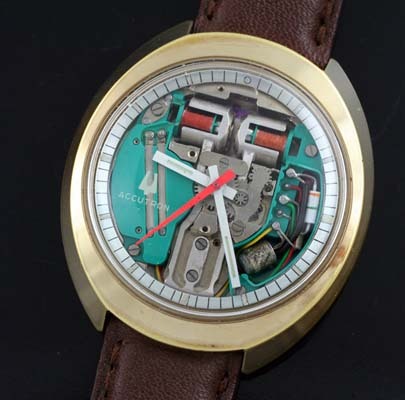 This model uses the famous 214 tuning fork movement. 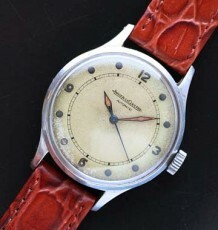 The watch is unuusal due to its oval shape and large size. The Tuning fork movement was considered state of the Art in the 1960’s and through the 70’s. The 214 tuning fork movement is running and keeping time. A fresh replacement battery has been installed. The gold filled case measures 38 mm wide by 41 mm long.